MailChimp, a very popular and (my personal favorite) email marketing platform, just introduced a new service that allows customers to design and mail postcard campaigns. These events are responses to changes sweeping through the landscape that will have a big impact on how companies will be able to obtain new customers. Effective email marketing is hard to beat when it is working effectively. Once emails are defined and designed they can be delivered in mass quantities with nearly zero unit cost. Emails based on website visitor behaviors, who they are, and where they are in their buying process makes for highly relevant messages that can generate a lot of response. This is all good news for marketers. But relying too much on any one marketing channel can keep you from reaching your goals, and email is no different. 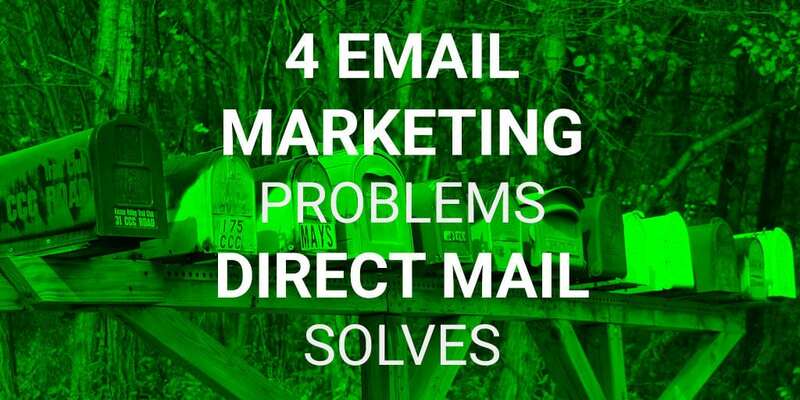 Here are four common email marketing problems and how to solve them using direct mail. Prospects get tired of reading your emails. Solution: Mix in direct mail with email marketing programs. For long-term nurture programs, you can have direct mail steps in marketing automation programs that deliver a personalized postcard to prospects and customers. I know of one major marketing automation company that sends out direct mail to people that fit their ideal customer profile but quite engaging with email. If your email doesn’t get read in the first few hours it is likely below the fold and may never be seen. Or Gmail puts your email in the dreaded Promotions folder, which is worse than being on page two of Google search results. It is also difficult to differentiate your brand in email. There’s only so much creativity you can do with an email subject line. Solution: Send occasional direct mailers to your marketing lists. Self-mailers can work great to get your message noticed. While just sending direct mail likely differentiates your brand, adding die cuts and coatings will help set you apart. If your email catches someone when they’re overwhelmed they may unsubscribe even if they like you. They’ll think “I know where to find you when I’m ready.” But when they get closer to their final evaluations they will likely leave you off the short list if you’re not top of mind. Solution: Have a direct mail based drip marketing program that keeps you top of mind. If your customer has long sales cycles you may be able to send these out quarterly. If sales cycles are shorter send out oversized postcards monthly and occasionally mix it up with a more involved mailing. Unrequested marketing emails are a lousy way to make first contact with a new prospect, and email service providers typically require you to have specific permission to send marketing emails to a person. While this is good marketing practice anywhere, it is the law in Canada. Solution: Make direct mail your first touch for lead generation. The goals can be either brand awareness to warm up the lead before a sales call or to have an offer that drives the lead to a landing page where you can capture their email address. Depending on short-term revenue goals, customer lifetime value, and sales cycles you can implement a multi-touch direct mail campaign that continues while the prospect is still top-of-funnel. As you can see direct mail can solve many problems with email marketing programs. Even if the overall email programs are providing great ROI there are likely many people falling through the cracks. Don’t go to your clients and try to replace their existing email programs, instead discuss the problems that you now know they have and show how you can solve them. This makes good sense for the trends and changes in our industry. Print can drive the interest in our industry and help connect with buyer curiosity and problems by reaching clients most effectively. 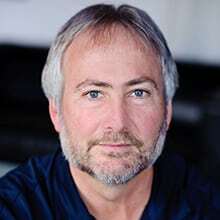 It looks like print will continue to play a vital role in connecting clients to print vendors. Awesome post, well said. Its great seeing more and more articles like this. Direct Mail will be on top again soon.